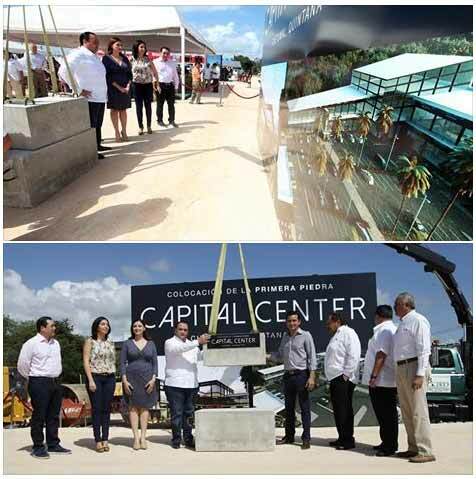 The investment seeks to employ many people from the southern zone of the capital state of QROO. The initial investment will be to the tune of around Five Million US Dollars or 65 million pesos. "CAPITAL CENTER" will have 43 different businesses including, banking services, gymnasium, laundromat, sports bar, and more. The commercial center will be located at the corner of "Avenida Erik Paolo Martinez" and "Avenida 4 de Marzo". This announcement couldn't have come at a worse time for our Corozal Free Zone as we struggle for competitiveness with our Mexico neighbours. We hope there can be a new infusion of ideas and creativeness for our Corozal Free Zone.